On Thursday, The Wall Street Journal reported that the White House is on the verge of implementing a rule to roll back the Obama-era requirement that employers offer health-insurance plans that include contraception. The news was confirmed by “two people familiar” with the new rule’s contents, which they say is very similar to a draft leaked in late May. [The] process, which the Obama administration dubbed an accommodation, in which an employer notifies the government of its unwillingness to cover contraceptives. 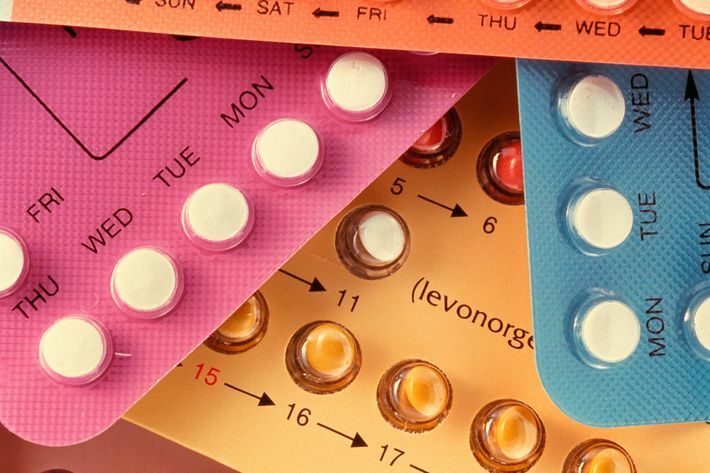 That prompts the insurer administering the employer’s health benefits to assume the cost and administration of providing contraceptives, effectively cutting out the employer. Trump’s religious base has been after him for months about implementing the rule, which they said “would go a very long way to restoring religious freedom and conscience rights.” But reproductive-rights advocates say it “allow[s] an employer’s religious beliefs to keep birth control away from women,” and is therefore vulnerable to a legal challenge. From a practical standpoint, this could mean that some of the more than 50 million women the rule has benefited could be forced to pay for their contraception out of pocket — something one in three women voters have struggled to do, according to a 2010 poll. And much like his presidency as a whole, Trump’s new rule would go against popular opinion; according to a January Kaiser poll, 77 percent of women and 64 percent of men supportno-co-pay contraception coverage. Those “familiar” with the rule told WSJ that, rather than open the rule to public comment, they expect it to take effect as soon as it’s published.